Our ‘Eye–Tie’ trays combine the best of steel and alloy trays with the revolutionary ‘Eye–Tie’ system. Don’t buy a tray for your ute until you have checked out the ‘Eye-Tie’ tray. 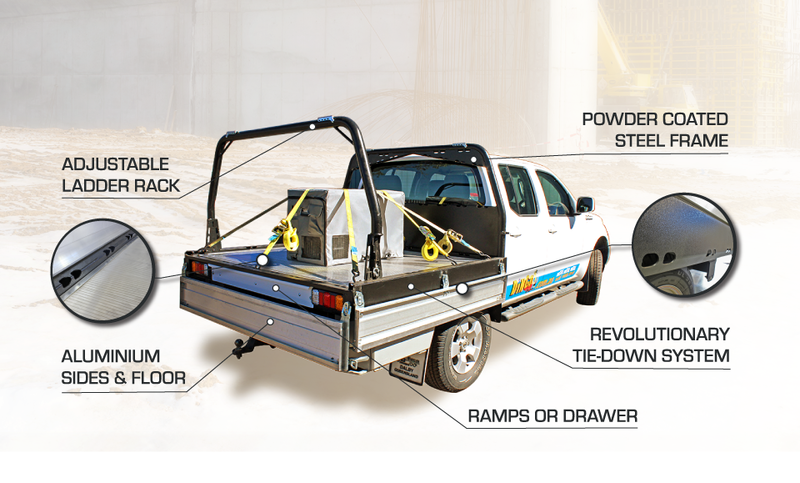 We also now produce an Eye-Tie "SuperTub" - an extended style-side tray for Ford Ranger and BT50 Six Wheelers. This Supertub also features the patented Eye-Tie tie down points throughout. Space for ramps or drawers. Steps to help you up onto the tray. 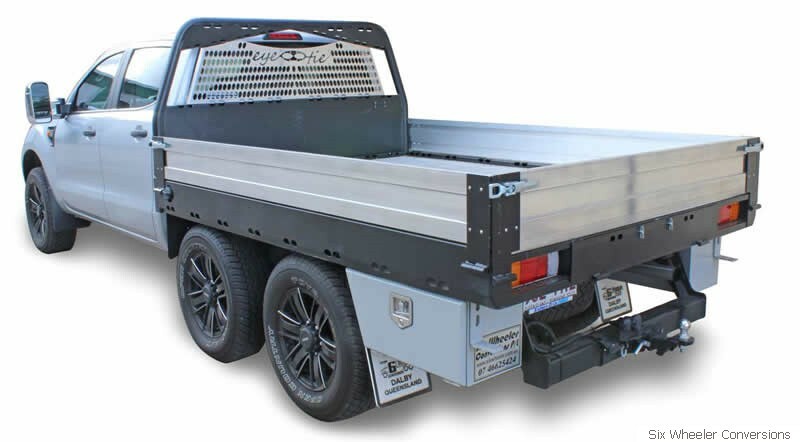 Available for Single Cab, Space Cab and Dual Cab utes as well as our Six Wheelers. Fits all brands of utes and small trucks. Optional steel tool boxes, water tanks, drawer slides, dog boxes and other accessories. New extended "SuperTub" styleside trays to suit Rangers and BT50's. Most "Eye--Tie" trays are made in our workshop in Toowoomba, Queensland and are available for installation in Brisbane, Toowoomba and Dalby. The standard trays are also available in kit form with delivery Australia wide. They suit all popular brands including Ford, Toyota, Nissan, Isuzu, Holden, Mazda, Mitsubishi, Volkswagen with Mercedes joining the fold in 2018.